First Baptist Covington’s new worship space was designed to foster a feeling of community. FBC Covington's new worship space was designed to be congregational in nature. The seating layout makes attendees feel like they're in a sea of people, and the stage thrusts out a bit into the audience so the pastor and performers can get close to the crowd. A strong sense of community is essential for any house of worship (HoW). This is why audio, video and lighting technologies have become so indispensable in the worship market. AVL tech serves to bring people together, and it can be used to create strong communal experiences. However, a HoW cannot rely solely on AVL to bring its congregants together; it helps if the worship space itself is conducive to a feeling of community. 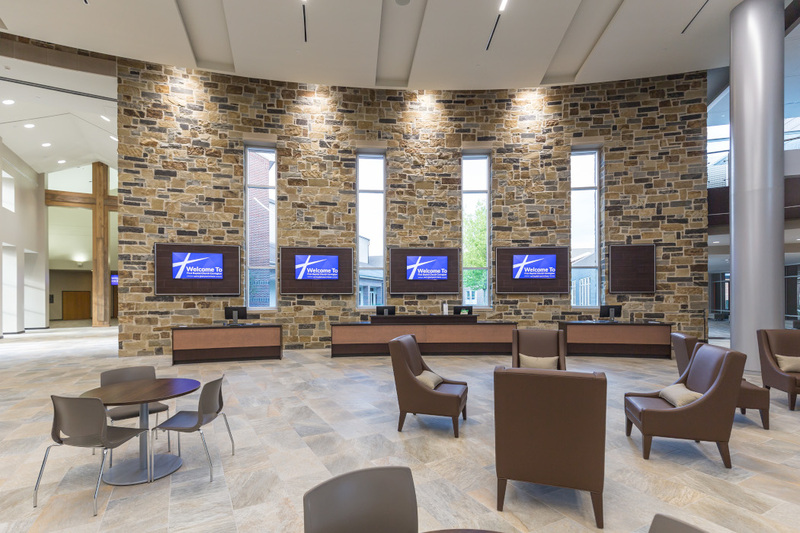 Louisiana-based First Baptist Church Covington (FBC Covington) understands the importance of both high-end AVL and a welcoming worship space in creating an experience that can bring a congregation together. Back in 2014, FBC Covington’s leadership decided to move forward with a plan to add a new, 2,400-seat worship space to its existing building; the addition was completed in 2018. From square one, making sure that the new space would create a communal experience for congregants was a top priority. FBC Covington contracted HH Architects to build the new worship center and brought on acoustical design consultancy Idibri (www.idibri.com) to handle the design of the new worship space in terms of its layout, acoustics and AVL systems. Idibri worked in close consultation with FBC Covington’s leadership and technical team to ensure the client’s vision for the new worship space would be realized. The view from the front-of-house mixing location. The main stage’s center-hung LED screen is divided into sections and displays abstract images and themed graphics, like this simulated stained-glass window. The directive to prioritize a communal worship experience also extended to the AVL infrastructure and acoustical-design aspects of the project. To that end, FBC Covington wanted to outfit the new worship center with a robust video system that would keep congregants engaged through the use of image magnification (IMAG) and special effects, a lighting system that could be used to set the mood throughout the entire space, and a sound system that would deliver clear, intelligible speech reinforcement while also meeting the demands of the church’s large traditional orchestra and contemporary praise band. 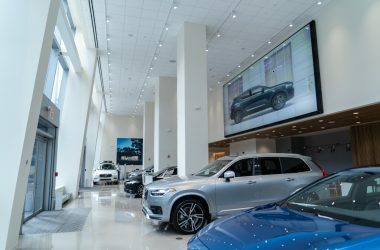 Soundworks Systems Integrators (www.soundworksllc.com) was contracted to handle the actual installation of the audio and video systems designed by Idibri. The team from Soundworks included Senior Project Manager George Picone, Project Foreman Mark Linson and On-Site Project Manager Shawn Downum. Texas Scenic (www.texasscenic.com) installed the lighting systems. FBC Covington runs three services at this location in a given week. The biggest difference between services is the approach to music; some utilize a traditional orchestra of about 30 and choir of about 60, whereas others employ a contemporary praise band of eight and about six vocalists. 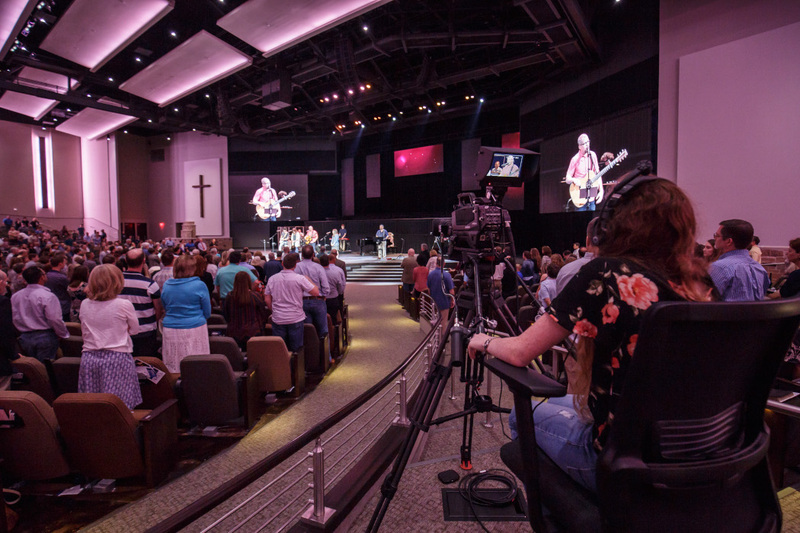 There are four operator-controlled camera positions in the worship center. Three new Hitachi Z-HD5500 cameras were specified for this project, and an additional preexisting Hitachi camera was repurposed for use in the new space. All four of these cameras are mounted on DAIWA tripods. Three Marshall Electronics CV500-MB2 mini cameras are available to be mounted in various positions onstage to capture musician shots. A Hitachi RC-Z12A-S10 remote-controlled camera is also in use. Two LED screens positioned to the right and left of the stage are used for IMAG and onscreen lyrics. 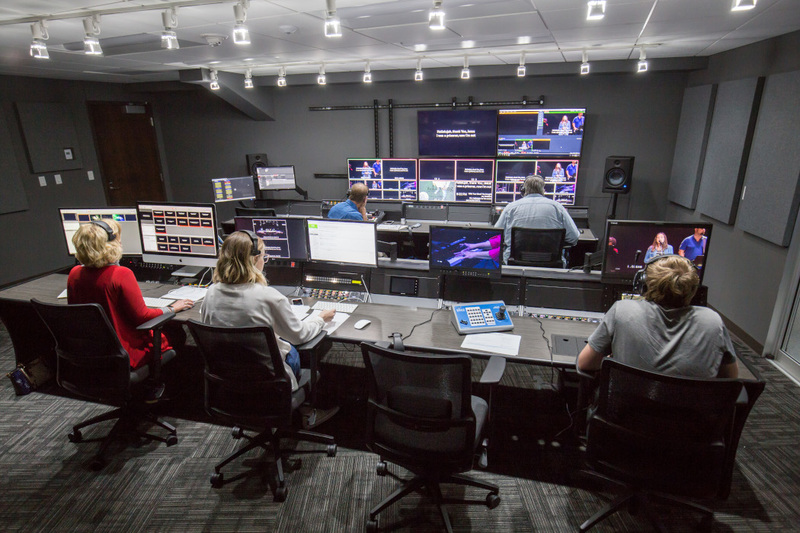 The backstage area features a separate black-box studio that can be used for recording audio, video announcements and other video rolls to be shown during services. “One of their ideas was building out a small set so they could host fireside chats,” Sherred described. The video production suite—located under the balcony—is equipped with a Ross Video Carbonite Black 2 2ME switcher and an NK-3G64 router, plus a Bittree patchbay system and a Christie Pandora’s Box server. A videowall composed of five LG flatscreens displays the various camera feeds; three of these screens show a multiviewer view, and the other two screens show a full-screen view. The workstation furniture was provided by Forecast Consoles. A Mac Pro and iMac with ProPresenter software are used for computer graphics effects processing, including lower-thirds and onscreen text; signals from the graphics computers are sent to the various displays via Blackmagic Design UltraStudio 4K systems with Thunderbolt interfaces. During services, the live video signal from the main sanctuary is fed to a number of displays located throughout the campus, such as these displays in the lobby. When services are not taking place, these displays are used as digital signage. In addition to designing the video system, Idibri also had to design a sound system to suit FBC Covington’s worship programming. 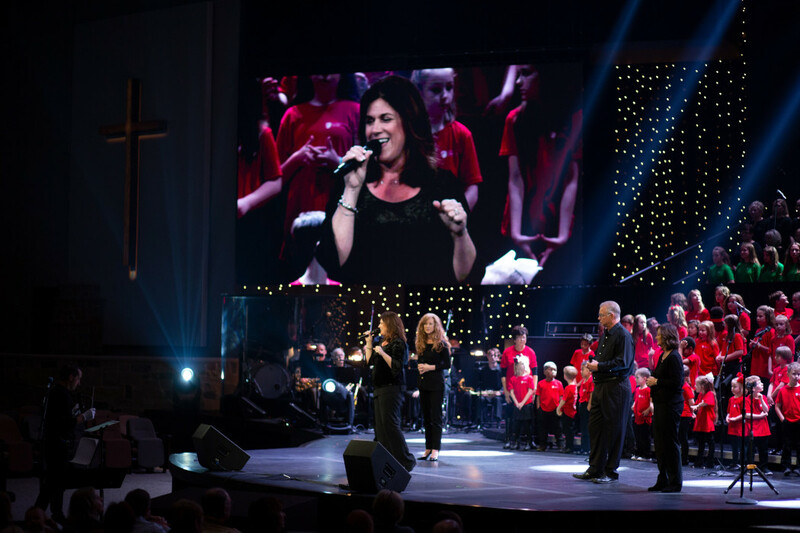 From the beginning stages of the project, Idibri worked with HH Architects to ensure that the acoustics of the worship center would be optimal, and the company tailored an audio solution that complemented the acoustical makeup of the room. 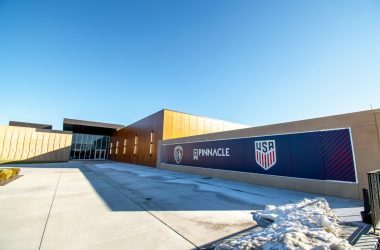 “We designed the shapes of the walls to mitigate reflections, and we also designed an acoustic treatment package with panels on the walls in specific locations, as well as treatment that’s above the ceiling clouds and on the roof deck,” Sherred said. For sound reinforcement, Idibri specified several L-Acoustics speaker systems. Speaker placement was determined using L-Acoustics’ Soundvision software, as well as EASE. A pair of L-Acoustics KARAi arrays—flown above the main stage in a left/right configuration—serves as the venue’s main loudspeaker complement. They are supplemented by a pair of L-Acoustics KIVA II arrays, serving as outer fills for the far left and far right seating areas. “There are eight KARAs in each of the main arrays, and seven KIVA IIs in each of the side-fill arrays,” Sherred said. The new worship center features stadium seating and an upper balcony at the rear of the room, so Idibri decided to deploy a delay ring containing 10 L-Acoustics 12XTi speakers to cover the back rows. “We used delay speakers so we don’t have to fire energy from the front of the room all the way to the top row, because, if we do that, we put more energy than we’d really like to on the far wall,” Sherred explained. “With the delay speakers, our angle of incidence is steeper, and that energy grounds out, so it’s not an issue at the front of the room. 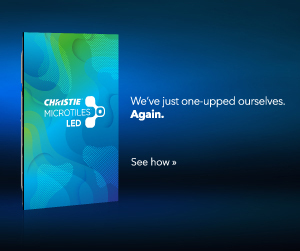 It also allows them to turn off those speakers if they want to scale the room down. They can turn the delay ring off and shut the lights off in that area and darken that whole area out to encourage people to sit further forward in the room on the main floor.” An additional five L-Acoustics 5XT speakers installed at the front of the stage are used as fills to paint the first few rows of seating with sound. There are four operator-controlled camera positions in the worship space. Low-end sound reinforcement is handled by seven L-Acoustics SB18i subs located under the stage and six SB18i subs flown above the center of the stage in a cardioid deployment. All the L-Acoustics speakers in the worship center are powered by 13 LA4X US amplifiers, which also handle signal processing for the speakers. A distributed audio system composed of 87 JBL Control 26CT speakers and eight Control 47HC speakers serves to send audio to various parts of the building, including the lobby, hallways, restrooms, etc. A QSC Core 110f handles digital signal processing for the distributed audio system. A Yamaha RIVAGE PM10 console located at front of house receives stage inputs from an RPio622 rack located in a backstage equipment room. 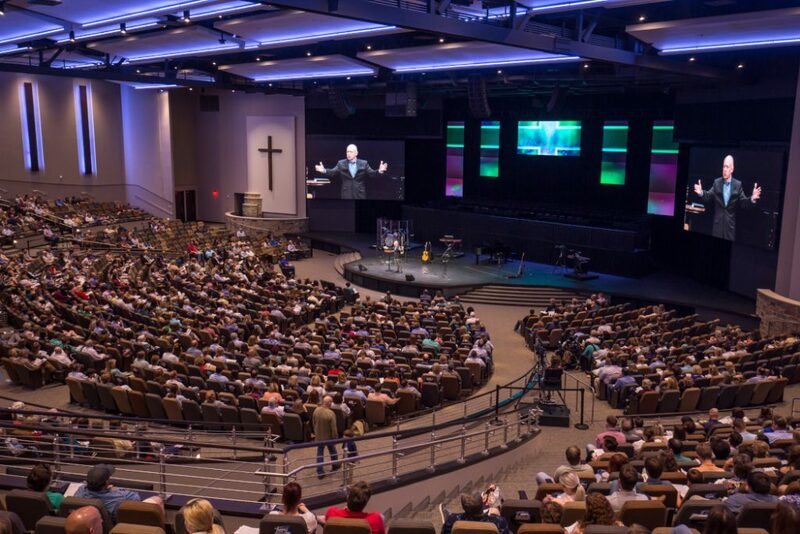 According to Kris Landrum of Sound Productions, which provided equipment to the integrator, Soundworks, “FBC Covington was looking for a console that could support a high channel count for their new worship space, [which] would also be used for other events, such as concerts for Covington’s symphony orchestra. There are several pockets throughout the stage and a patchbay system to accommodate input arrangements for varying stage plots. They also were very impressed with the processing power within the PM10 and, of course, the SILK microphone preamp.” The patching system includes Panduit and Black Box patch panels. A Shure ULXD wireless mic system serves as the main audio input, with a mix of Shure instrument mics and vocal mics and DPA headsets in use for various applications. “The original spec used a Dante connection into the console for the wireless mics, but we changed that to a copper connection so that they could benefit from those preamps in the Yamaha console,” Picone said. 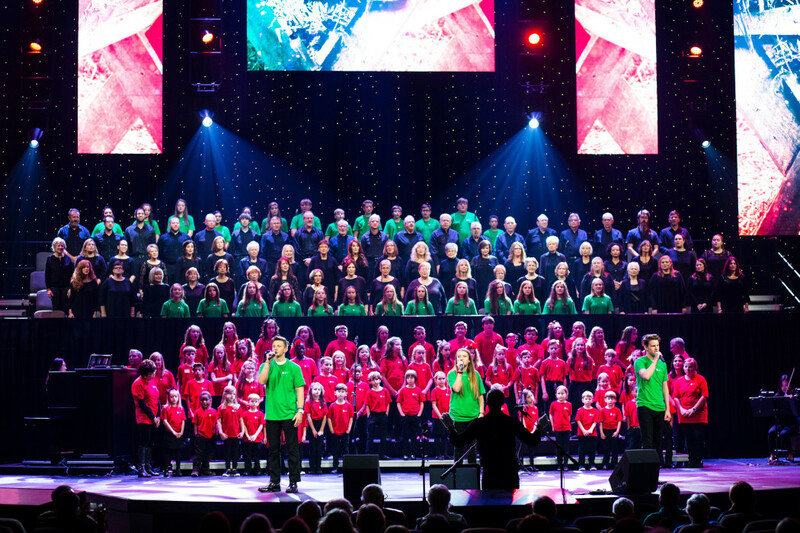 For onstage monitoring, three EAW QX364 speakers are installed above the choir loft area and used as choir monitors; the band members have access to 10 Shure PSM300 in-ear-monitoring systems. A band rehearsal space in the backstage area is equipped with EAW QX396 monitors, a QSC CDX4.3 amplifier, a Yamaha TF1 mixer and a Shure QLXD wireless mic system. A Yamaha QL5 console is located in a separate broadcast audio production room; this console shares inputs and outputs with the console at front of house, and stems can be sent from front of house to mix the broadcast audio feed separately. The audio production room also includes two Adam Audio A7Xes and one Sub15 for monitoring purposes. The production team communicates via a Clear-Com Eclipse Median digital matrix system. For ADA compliance, the venue also includes a Listen Technologies RF assistive-listening system. The choir loft can comfortably accommodate FBC Covington’s large choirs, which average about 60 members. When a choir is not needed, the loft can be rolled back behind a curtain or removed from the stage entirely. 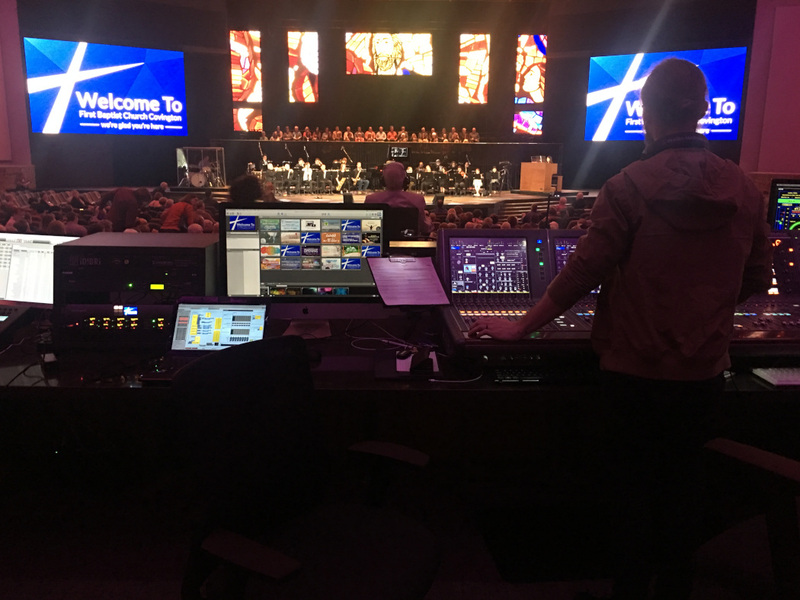 Following completion of the installation, representatives from THOR, Ross Video, Hitachi, L-Acoustics, Theatrical Concepts and Yamaha assisted in training FBC Covington’s AVL team on the use of the new system.